"We use it [Microsoft software] for everything! All our finance, our budgeting, internals, Excel, and an Access database for our volunteers. This has all made our lives so much easier. Our previous equipment was so slow; there were lots of crashes and it was actually stopping us [from] working." Scene & Heard is a unique mentoring project that partners inner-city children from the Somers Town area of London with volunteer theater professionals. The program aims to provide each child with quality one-on-one adult attention through the process of writing and performing plays. The main goal of the project is to boost children's self-esteem by giving them a public platform for their voice and providing a personal experience of success. Introducing the children to a new way of working with language also helps to improve their attitudes towards learning and their literacy skills. The organization recently received the Queens Award for Voluntary Service, one of the highest honors possible in the U.K. 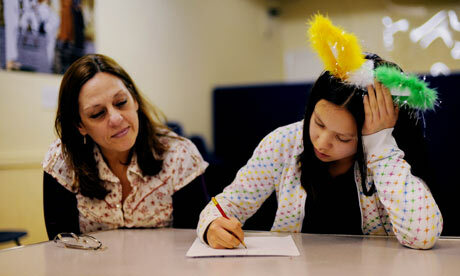 Scene & Heard currently runs six playwriting and acting courses annually for children ages 9 to 15. More than 450 actors, directors, writers, comedians, designers, composers, and technicians volunteer their time and talents to Scene & Heard to create a unique experience. Providing this service free of charge to youth has been a challenge, especially with rising IT needs. The organization received a donation through Charity Technology Exchange, the donation program of Technology Trust, a TechSoup Global Network partner. Microsoft Windows 7 Professional upgrades and Office Professional Plus 2010 helped Scene & Heard equip new computers it had received from sponsors. With the new software, the day-to-day tasks of running of the organization work more smoothly and that gives the staff more time to focus on serving the children of Somers Town.